From shark sightings (yes, really!) to Supreme Court wins to increasing blue crab numbers, 2016 has been quite the year for the Bay and its rivers and streams. It's hard to believe, but 2016 is coming to a close. Time flies when you're saving the Bay, and thanks to the incredible support of our members, CBF accomplished an awful lot. Forster's terns appear to be staging for their fall migration in late November. 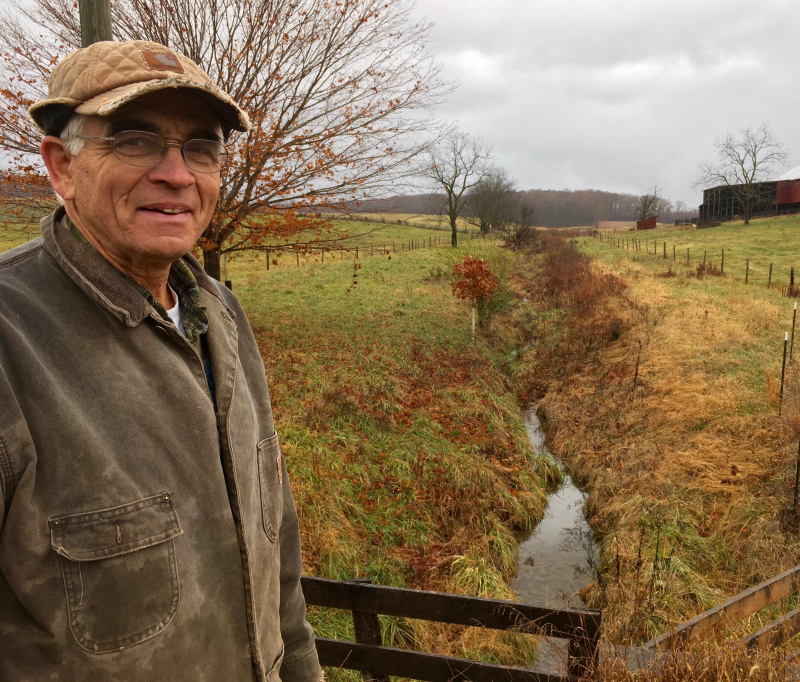 Ever since George and Ruth Coyner fenced their cows out of the streams on their farm in 2005, they've seen great benefits for their herd. These pictures were taken in a small creek off the Western Branch of the Elizabeth River. 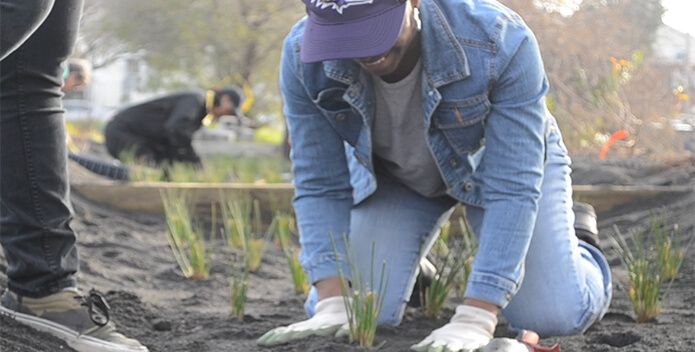 One of the beautiful things about efforts to improve the environment is they so often come with additional benefits. 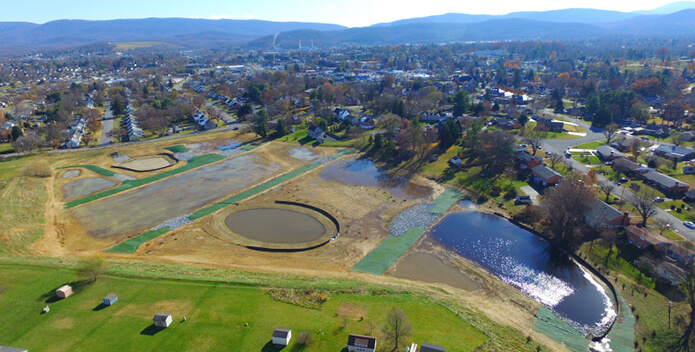 Recently, part of Waynesboro's Jefferson Park neighborhood has undergone a pretty amazing transformation. Approaching a ragtag team of CBF volunteers and staff, my first observation was the putrid stench lofting from the truck lovingly called the, "Spatmobile." 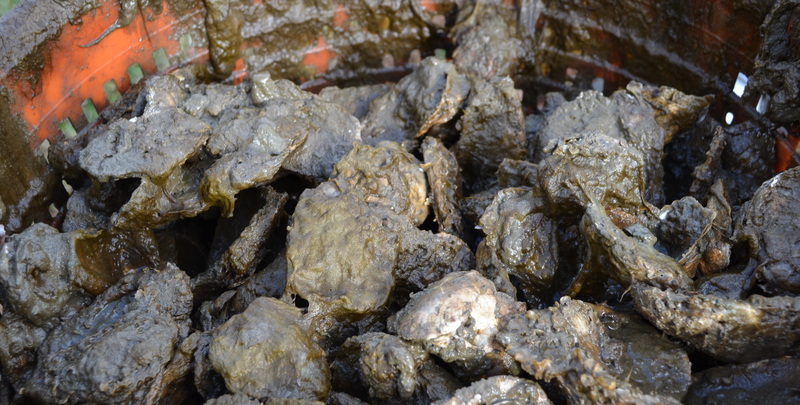 On a mild December day last week, CBF partnered with the South River Federation to plant 200,000 spat-on shell and 87,000 adult oysters. In many ways, their stories are the same. 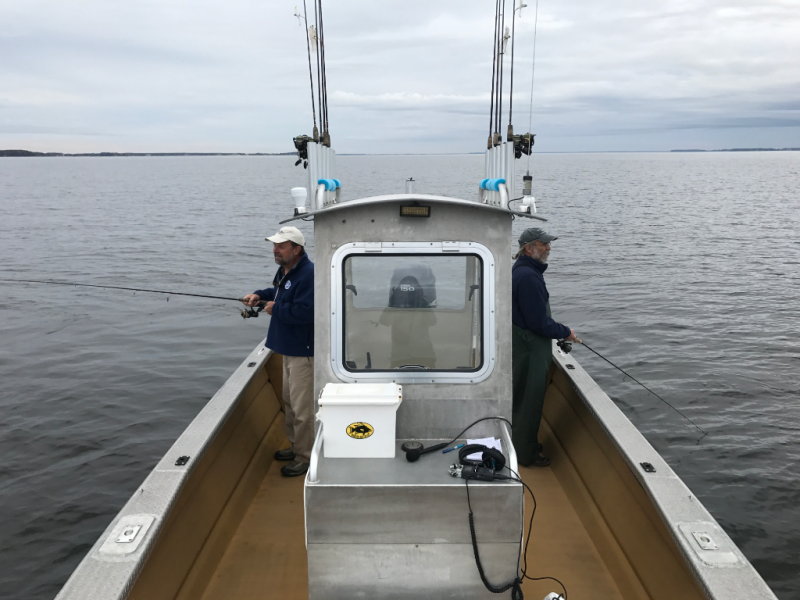 Self-described marsh rats, Bill Goldsborough and Chuck Foster both grew up on the Eastern Shore with Bay blood coursing through their veins and fishing rods in their hands. 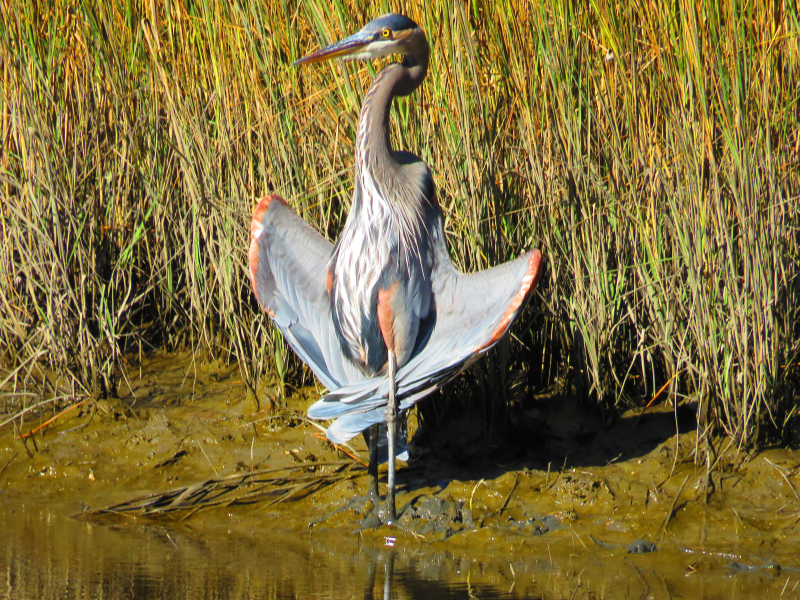 I took this photo of "Big Bird," as my mother would call the great blue herons that always visit her waterfront on the Poquoson River. Waterman David Melville harvests clams on "slick cam" (slick calm) waters near Gwynn's Island the day after Thanksgiving. Seen here, an osprey nest on the Uppards area of Tangier Island sits vacant, a sure sign that winter can't be too far off. 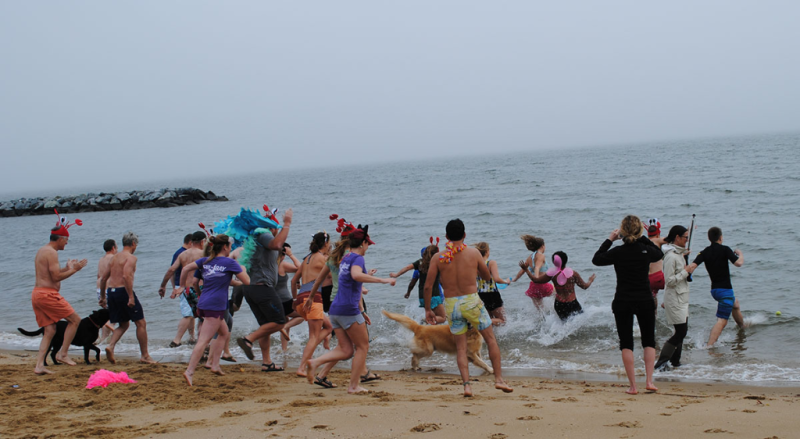 For the second straight year, a bunch of CBF staffers took a dip into the frigid waters of the Chesapeake Bay as a thank you to the hundreds of generous CBF members who gave on Giving Tuesday. 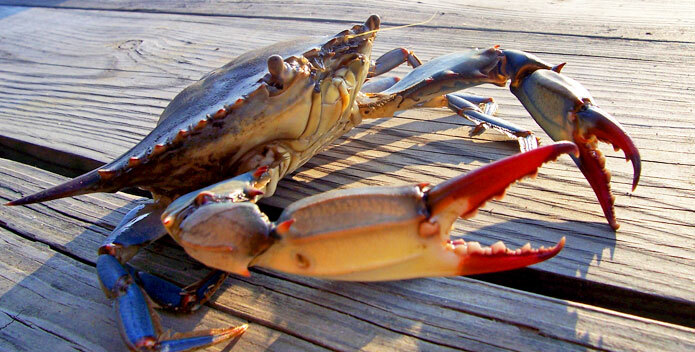 What’s Your Chesapeake Bay Sign? Waters of the United States—What Is That? What's Bill Seeing in the Field? The views and opinions expressed in the media, articles or comments on this site are those of the speakers or authors and do not necessarily reflect the views and opinions held by CBF and the inclusion of such information does not imply endorsement by CBF. CBF is not responsible for the contents of any linked Web, or any link contained in a linked Web site, or any changes or updates to such Web sites. The inclusion of any link or comment is provided only for information purposes. CBF reserves the right to edit or remove any comments and material posted to this website and to ban users from the site without notice. Partisan, pornographic or other inappropriate content, product or service promotion, foul language or bad behavior is expressly forbidden and will be removed. The 2018 State of the Bay Report makes it clear that the Bay needs our support now more than ever. 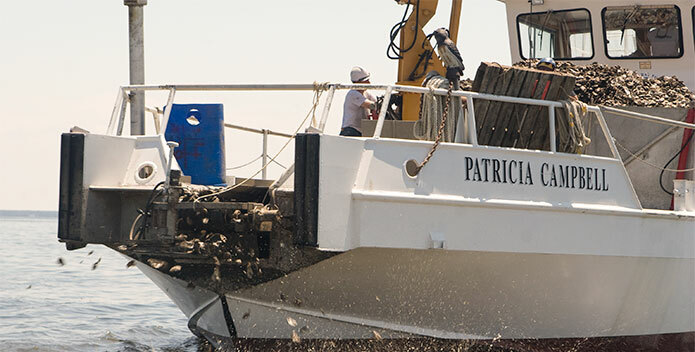 Your donation helps the Chesapeake Bay Foundation maintain our momentum toward a restored Bay, rivers, and streams for today and generations to come. 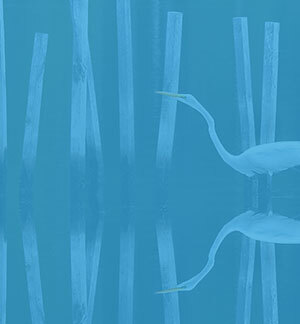 Founded in 1967, the Chesapeake Bay Foundation (CBF) is the largest independent conservation organization dedicated solely to saving the Bay. The Chesapeake Bay Foundation is a nonprofit, tax-exempt charitable organization under Section 501(c)(3) of the Internal Revenue Code. Donations are tax-deductable as allowed by law.